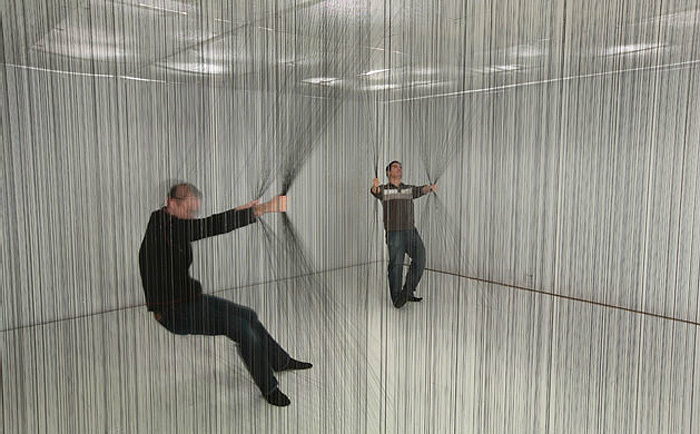 Lateral Office, an architecture firm based in Toronto and founded by Lola Sheppard and Mason White, was commissioned by the Harbourfront Centre to address the theme of ‘personal space.’ They responded by creating an installation — titled Clearing — with a dense field of over 4000 elastomeric strings running vertically along a tight grid. 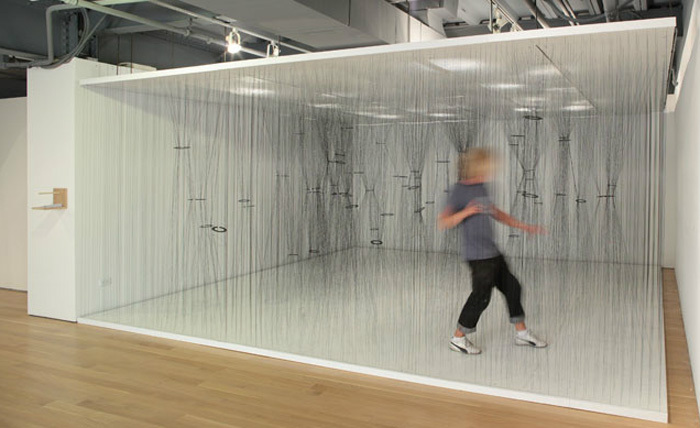 As people entered the space they would be given an acrylic collector tool that would allow them to navigate the field and manipulate the density of the space. 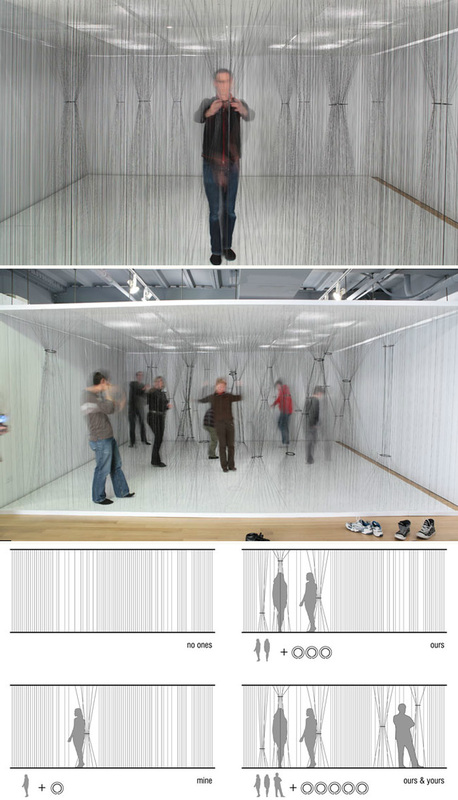 This entry was posted in Architecture, Art, Fun, Interaction Design. Bookmark the permalink.